The first Christmas after Jeff’s teenage daughter died, he was blindsided by emotions while facing tradition after tradition that had been centered around their two daughters. On Christmas Eve my husband and I used to open our own personal gifts to each other. Well, that can’t happen now. After the death of someone you love, the holiday season can be emotionally exhausting. You may want to enjoy the holidays, often for the sake of other family members, but it’s hard to do. Why is this season is so difficult to get through? A key reason is because of the many holiday traditions that you’ve developed over the years that involve your lost loved one. What traditions have you built together over the years? Think about how you decorate your house. What about gift planning, shopping, and wrapping? Maybe you have an ugly sweater you bring out each year. Secret Santa gifts. Sipping hot cider or cocoa by the fire. Christmas songs. A neighborhood walk to look at lights. Putting up the tree. Turkey and ham for dinner. Don’t forget the cookies and pie. The traditions that make up the framework of your holiday typically revolve around the people you love. And many of those traditions you might not even think about until you’re emotionally ambushed by the fact your loved one is not here to enjoy them with you. Keep Traditions? Or Don’t Keep Them? While you may long for the holidays to be like they once were, you realize it’s impossible. So what do you do with all these traditions? How can you face them without your loved one? Would it be better to keep the holidays the same as possible or do something completely different this year? You will want to maintain some holiday traditions, especially when they involve other family members. Since your energy level is already lower than normal due to grief, it’s helpful to plan ahead of time, to prioritize, which traditions are important to you to keep. Other traditions, you might need to set aside this year (which doesn’t mean you can’t pick them up a different year). If other family members are involved in a particular tradition, let them know what you’re planning to do about it this year. You know yourself best and how much you’re able to handle at this point in your grief. Now, some people worry that by not doing a certain tradition, they are dishonoring their loved one or trying to push those memories out. This isn’t true. You can honor your loved one and cherish the memories whether you continue a certain tradition or not. Before opening presents, have each person share a special Christmas memory. Give gifts to a cause that meant a lot to your loved one. “I prayed and asked the Lord to help me find a gift for everyone in the family to remember my husband,” shares Jeannine. “My children and I light a candle for my husband through the whole month of December every night at dinner. I’ve made a candle for them with a picture of them and their father wrapped around the candle,” shares Sheila. Make and deliver cards or cookies to shut-ins or give them an encouraging phone call. Create a collage or holiday scrapbook with memories of your loved one that you can look through each year. Consider spending the holiday with someone who is alone: someone who’s experienced loss, someone without family nearby, or a person in a nursing home. You could invite international students from a local university to come for the day. Purchase or make an ornament in memory of your loved one to hang on the tree. Volunteer to help serve a meal at a shelter, nursing home, Salvation Army, fire or rescue station, or church. Find available opportunities in your community. The holiday season is still a time to cherish memories and traditions of the past, and it’s also a time to invest in today and the future. Making this choice honors your loved one and can bring a measure of healing to you and those around you. Kathy Leonard is coauthor of, Grieving with Hope: Finding Comfort as You Journey Through Loss, Through a Season of Grief: Devotions for Your Journey from Mourning to Joy, DivorceCare 365 Daily Devotions. She is the editorial director for Church Initiative, the parent organization which produces the GriefShare and DivorceCare biblically based support group programs. 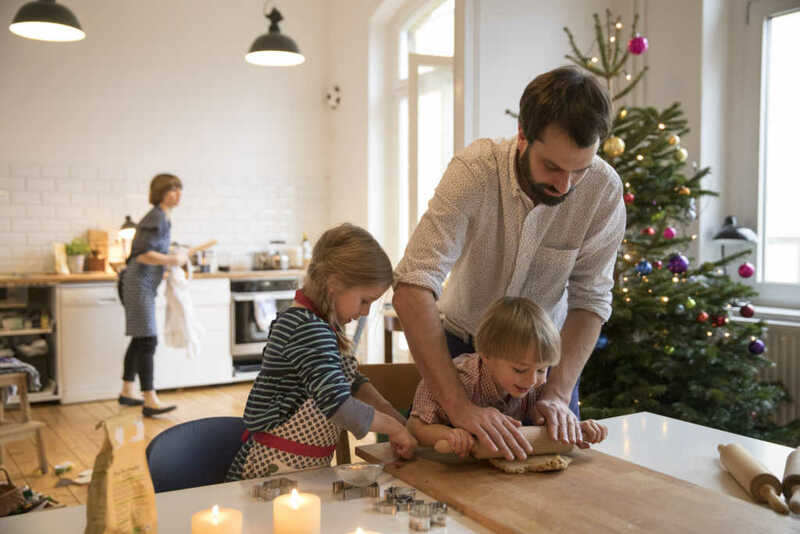 If you’d like more practical tips on holiday survival—coping with loneliness and depression, planning traditions, handling social events, dealing with emotions, and more—Surviving the Holidays two-hour seminars are held across the nation throughout November and December. To attend one near you, visit www.griefshare.org/holidays.